Please note: Not everything you see on our retail line is available at wholesale prices. If you don't find it on the wholesale website, it is not available at wholesale prices. Please do not ask us who our sources are--we do not share that information. Only those items we directly manufacture or source at distributor pricing are available at wholesale prices. We have started with our best selling items and will gradually add additional styles. To get started, please visit our wholesale site at www.allaboutblankswholesale.com. There, you will be asked to register your company information. You will NOT be able to see pricing or make a purchase until your account is reviewed and marked as a wholesale account. Allow up to 1 business day (M-F) for this process, although we often review requests within a few hours after receiving them. 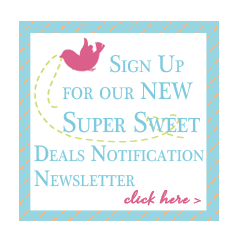 Upon approval, you will receive a Welcome Newsletter letting you know your account is ready for wholesale shopping. Check your email! If you don't get our automated messages letting you know we've received your request, and then a second when you are approved, check your spam folder. We want you to be getting our emails! Our wholesale website address: www.allaboutblankswholesale.com.